Multi-media temporary installation, Cupid's Span, San Francisco, 2010. 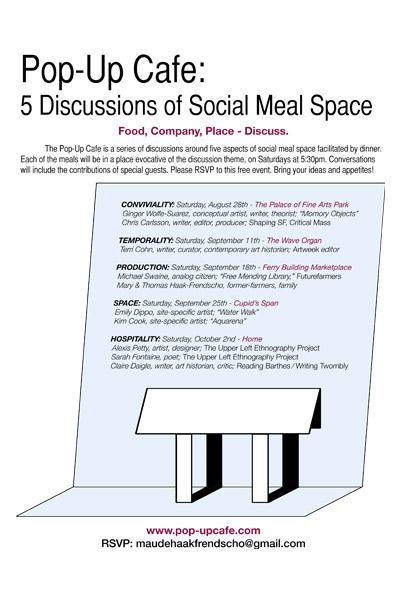 Organized by E. Maude Haak-Frendscho, the Pop-Up Café was a series of open discussions around five aspects of social meal space facilitated by dinner. The past decade has been accompanied by a range of social food projects throughout many fields including the arts. 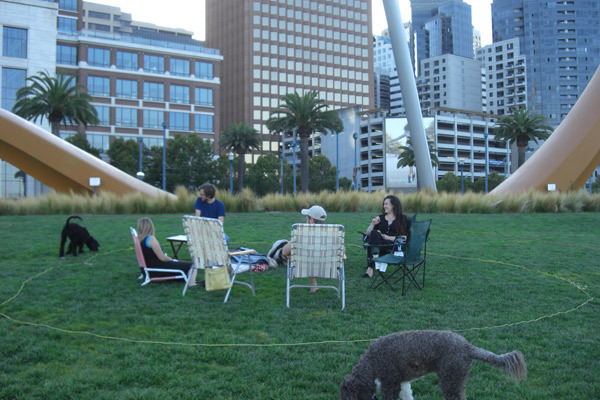 The intention of the Pop-Up Café meal and discussion series was to find out why this movement is occurring, and what that means for our lives.The series was presented in several locations across San Francisco. Each of the meals were to be in a public place evocative of the discussion theme. Conversations included the contributions of special guests. The public was invited to participate in this free event with RSVP, dinner started at 5:30pm and discussions continued until 7:30pm. All guests are asked to bring their ideas and appetites. 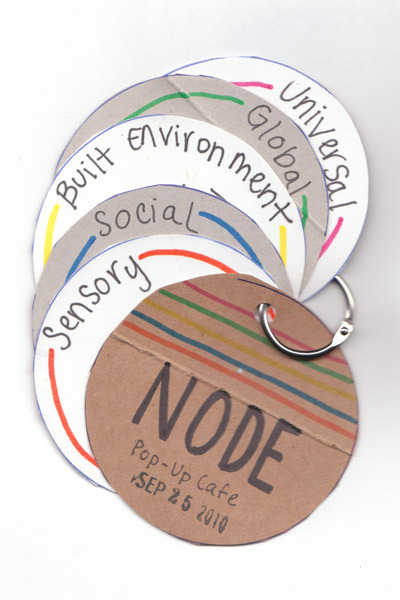 NODE were invited to be the fourth meal and discussion in the Pop-Up Café series on the topic of Spatiality, taking place at the Cupid's Span public sculpture Saturday, September 25th, 2010. For this piece NODE created a communication system for discussing social meal space in relation to spatial themes such as sensory, social, built environments, global and the universal.